This vanity light has a classic yet elegant look. The polished chrome accents the rippled glass diffusers. Provides a look that goes with any dicor. 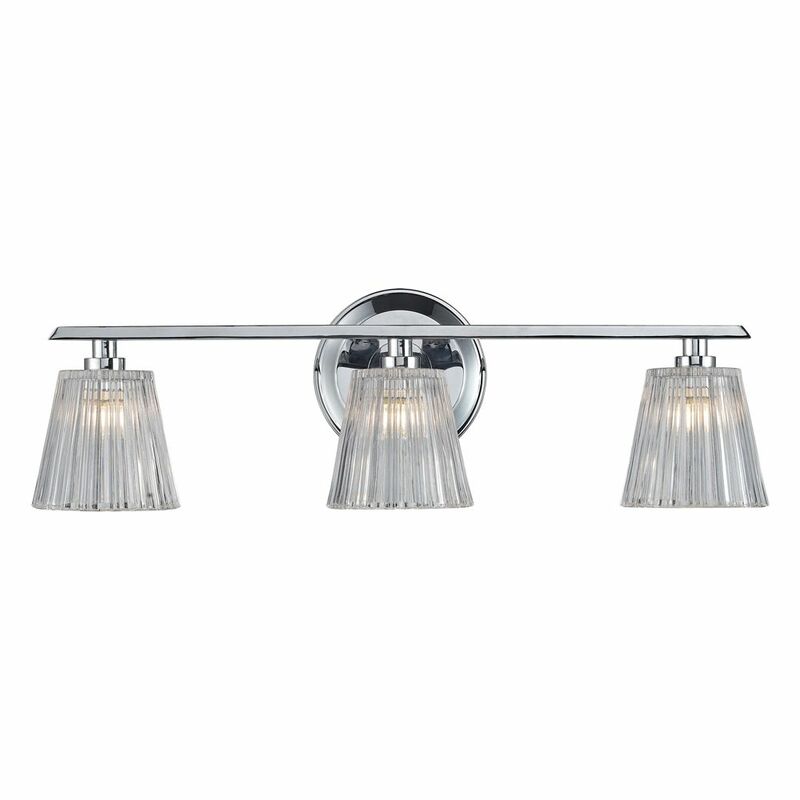 3- Light Wall Mount Polished Chrome Bath Bar This vanity light has a classic yet elegant look. The polished chrome accents the rippled glass diffusers. Provides a look that goes with any dicor.